Tommy Dorsey : Big band charts from the Tommy Dorsey Orchestra. 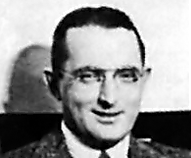 A range of big band arrangements made famous by Tommy Dorsey and his orchestra. Thomas Francis "Tommy" Dorsey was a band leader, trombonist and composer known as the "Sentimental Gentleman of Swing". Hie was the younger brother of saxophonist and bandleader Jimmy Dorsey and his band was popular and hugely successful from the late 1930's through to the the mid 1950's. He passed away at the early age of 51, followed the next year by his brother Jimmy. Which are his best known charts? Dorsey's best known charts include "Opus One", "Well, Git It", "Yes Indeed" and "On the Sunny Side of the Street", all arranged by the legendary Sy Oliver. In Dorsey's band were Nelson Riddle and Paul Weston, both of whom were also outstanding arrangers. Bill Finegan, who wrote for Glenn Miller, also arranged for Dorsey through the 1940's. Dorsey also gave Frank Sinatra his big start as a vocalist, both as a soloist and with the band's vocal group, the Pied Pipers Other well known Dorsey arrangements include "I'm Getting Sentimental Over You", "The Hucklebuck" and "Song of India".